HouseMyDog now has thousands of dog owners looking for sitters every month. To help your profile stand out from the crowd and get you as many bookings as possible we have a few more simple tips to help you out. Photos have a huge influence on how dog owners perceive the potential sitters for their dogs. As dog owners go down through the list of sitters in their area, the main thing that will catch their eye is your profile picture, meaning having a good profile picture essential. It doesn’t have to be a picture of yourself, it could be your dog, but a photo of you will increase your credibility as a good and trustworthy sitter. Listing photos give dog owners a quick impression of what sort of place their dog will be spending their doggy vacation. Photos showing where the guest dog will sleep, any enclosed outdoor area the dog may access at your home, and a couple of your own pets make you a more attractive sitter. Photos of local areas where you could bring the guest dog for a walk (e.g. park, beach, woods) are also really beneficial and should greatly increase your bookings. This is your chance to show, through 5 key areas, why you are a great sitter. These areas are: ‘About You’, ‘Your Home’, ‘Your Dog(s)’, ‘Your Boarding’ (availability, walks, playtime) and ‘Dogs You Mind’ (e.g only small adult dogs, all dogs, only female dogs). Your description is the first and possibly only opportunity to convince someone that you are a good sitter – you may know you are a great sitter but owners can’t choose you based on what isn’t written there! Our most successful descriptions are over 150 words long. If you like, we can even help write your description with you, just call HouseMyDog support and ask – we’re always happy to help you make a great profile. This can either be Strict or Flexible. While having a Strict policy is no problem our Flexible policy is far more appealing to dog owners giving them the added peace of mind of a full refund up to 3 days before any booking. There are currently four verification badges you can be awarded to showcase that you are the kind of sitter who will take great care of any guest dog in a safe and welcoming home, where a dog can enjoy itself while its owners are away doing the same. The most important of these is our ‘Phone Screening’ badge, which all sitters must be awarded before they can ‘go live’ to begin attracting dog owners and earning money through HouseMyDog. The other three are: references & ID verification. These are not compulsory but will really improve your profile and your legitimacy as a sitter. 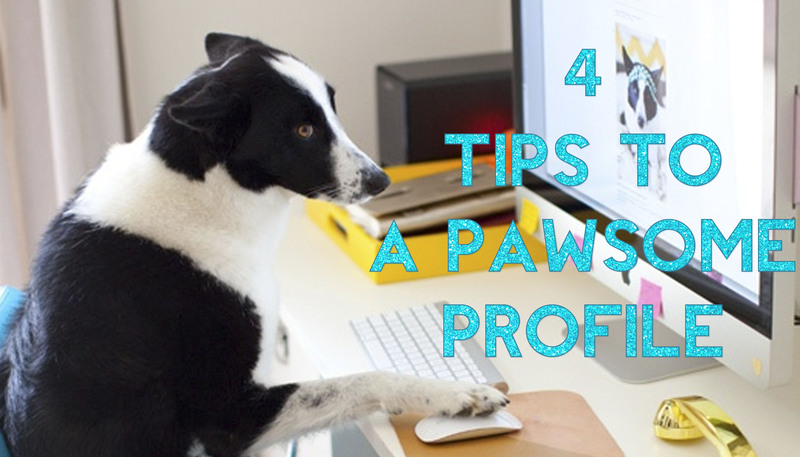 We hope these tips have been useful and will help you make a super pawsome profile, allowing everyone who sees your profile to view you in the best possible light!